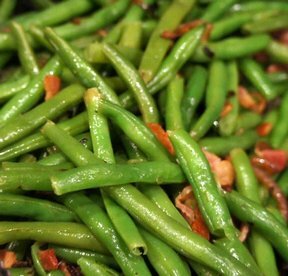 Fresh green beans are covered with smoky bacon and sweet caramelized shallots. 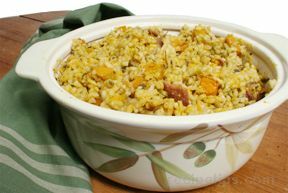 A beautiful side dish for any meal. Cook bacon (in cast iron if you have it). Remove and crumble the bacon, making sure to save the rendered fat in the pan. Steam the green beans until their color becomes vibrantly green and tender without becoming too soft - about six to nine minutes. In the pan the bacon was cooked in, heat remaining bacon fat on medium until melted and sizzling. Place thinly sliced shallots into the hot bacon fat, and cook until well-caramelized with a smoky fragrance - about five to seven minutes. Remove and set aside. Add steamed green beans to the hot fat and cook for a minute or two until the beans are heated through and well-coated. 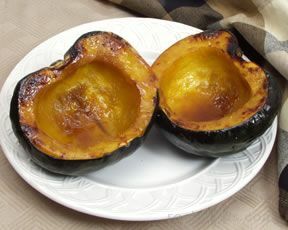 Take out of the pan, and serve in a nice dish. Sprinkle bacon and caramelized shallots over the green beans. Enjoy! 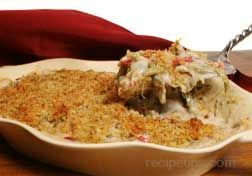 "Great green bean recipe. I made this on Xmas Eve and got lots of compliments. The beans still had a bit of a crunch to them and they tasted great with the shallots and bacon. I will be making this again!"